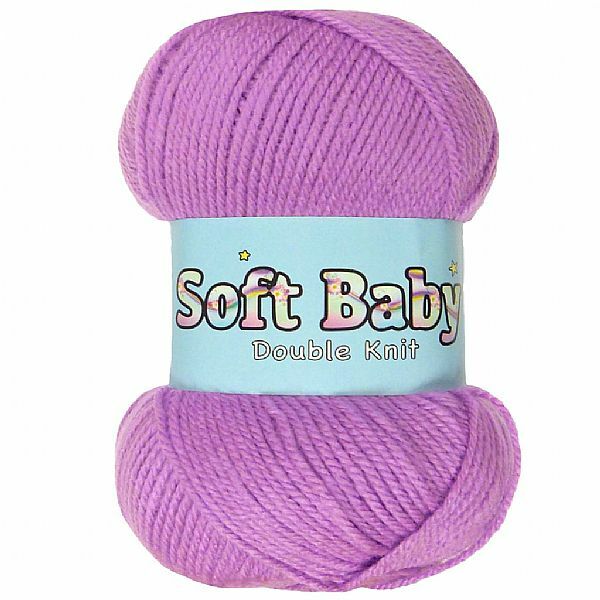 Our Supersoft Baby DK is made from extra soft acrylic that is perfect to use for all of those new born baby knits and crochet projects you are dying to get stuck into. This alternative to Double Knit wool is smooth to work with and will make sure any baby will be as happy as possible. Knitting or crocheting something for a new arrival is always very exciting. However, new born babies skin is very sensitive and we always need to be careful that we dont expose them to any materials that are too harsh, including the yarn we use. Not only is our Baby DK great for the little ones; but the great range of colours means that its extremely versatile for all DK knitting and crochet projects. Take your pick from bright and bold colours, as well as beautiful pastel shades. Get all of these gorgeous colours in our Supersoft Baby colour packs. Find out what our customers have been creating - knitting & crocheting with Supersoft Baby. Care Instructions: Machine Wash/ Wool Wash 40°C. Do not Iron. Cool tumble dry.